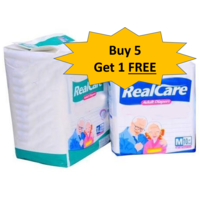 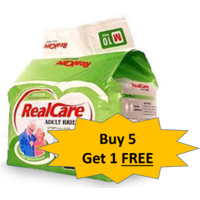 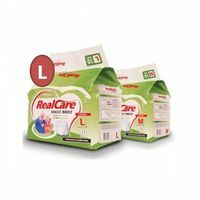 Realcare disposable underpads are 60 cm x 90 cm sheets that can be spread on the bed to absorb liquid. These underpads are made very similar to the way diapers are made, with cellulose and Super Absorbent Polymer (SAP) that ensure dryness of sheet even after absorption of liquid. 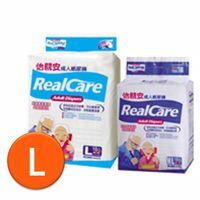 Ideal to prevent leaks from diapers soiling the bedsheet and bed. 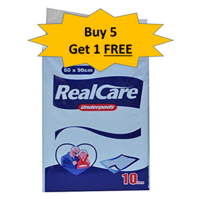 Realcare disposable underpads are 60 cm x 90 cm sheets that can be spread on the bed to absorb liquid. 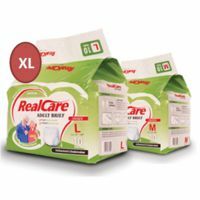 These underpads are made very similar to the way diapers are made, with cellulose and Super Absorbent Polymer (SAP) that ensure dryness of sheet even after absorption of liquid. 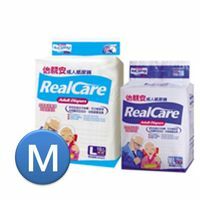 Ideal to prevent leaks from diapers soiling the bedsheet and bed.